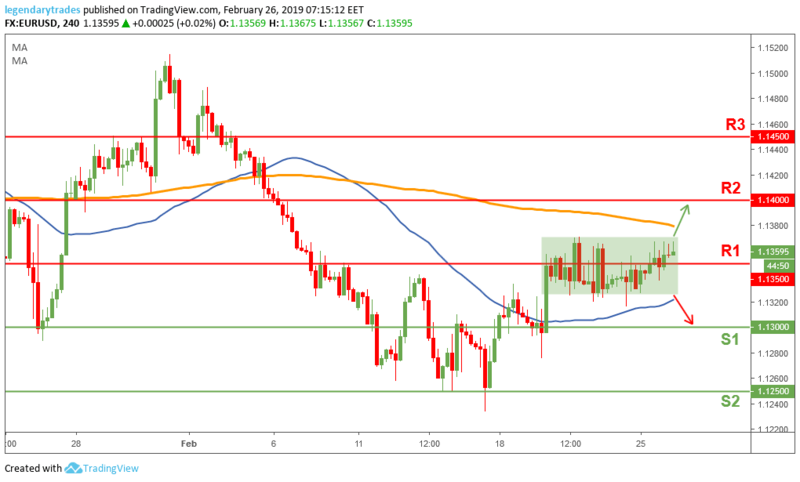 The Euro got a small boost yesterday and rose up to 1.1367 on hopes related to the US-China trade war. President Trump tweeted that substantial progress has been made in talks and that he plans to delay the increase of tariffs on Chinese imports beyond March 1st. Today, Germany will release the GFK Consumer Confidence Survey, while the US has a busy calendar as well, which includes December Housing Starts and Building Permits, Consumer Confidence, and the Richmond Fed Manufacturing Index. Traders however will mostly focus on Fed's Chair Powell Testimony on monetary policy before a special Senate Committee. The Euro found some bid today but it is still stuck between 1.1320 and 1.1370. A break to the upside will open a possibility for a 1.14 (R1) retest, or even more. On the other hand, a break to the downside would suggest that this recent short-term uptrend in the Euro could be over.